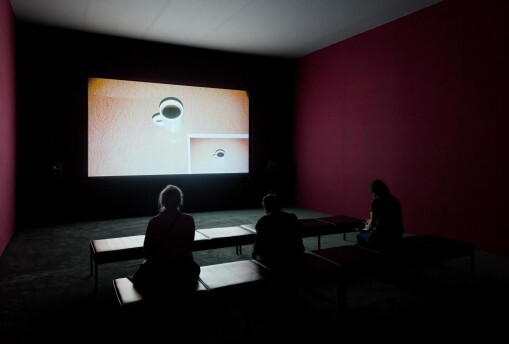 Glasgow-based filmmaker Duncan Campbell has been announced winner of the 2014 Turner Prize. Glasgow-based filmmaker Duncan Campbell has been awarded this year’s Turner Prize. Speaking at the prize ceremony at Tate Britain, London, which is hosting this year’s shortlist exhibition, the Dublin-born artist described winning the £25,000 prize as “weird and very surreal”. Campbell was nominated for his contribution to the Scottish Pavilion at last year’s Venice Biennale. His 54-minute film entitled It For Others includes excerpts from a 1953 film by Chris Marker and Alain Resnais on colonialism and African art, and a new dance piece by Michael Clark, who Campbell thanked saying “I feel he is a huge part of me being here tonight”. 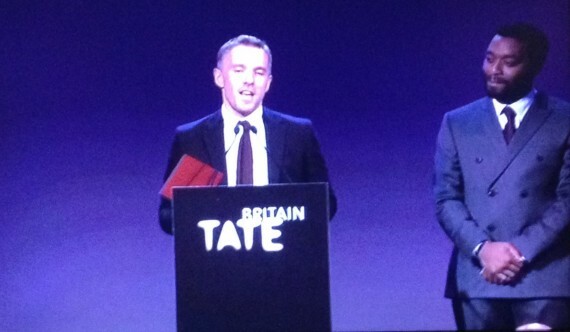 The Turner Prize is awarded annually to an artist under 50 living, working or born in Britain. Also shortlisted this year were Ciara Phillips, James Richards and Tris Vonna-Michell. This is the 30th anniversary of the prize which was first presented in 1984 to the painter Malcolm Morley. This year’s jury included: Stefan Kalmár, Executive Director and Curator, Artists Space, New York; Helen Legg, Director, Spike Island, Bristol; Sarah McCrory, Director, Glasgow International; Dirk Snauwaert, Artistic Director, Wiels, Brussels; Penelope Curtis, Director of Tate Britain (Chair).